Description: One of the most popular Louis Comfort Tiffany styled lamps on the market today, recreating his famous Favrile design from the early 1900's. 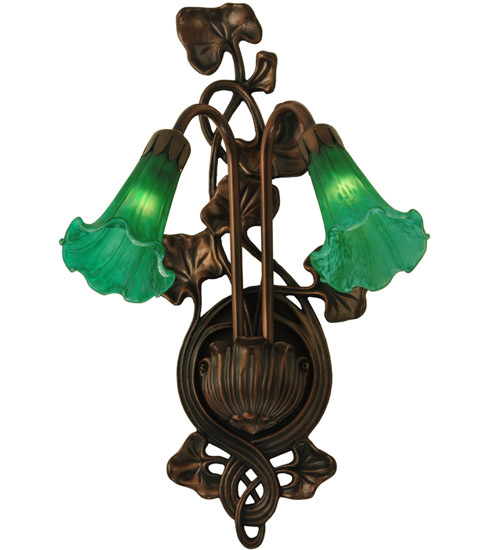 This softly mottled Emerald Green shaded Two Light Wall Sconce offers an attractive, delicate design featuring shades mouth blown of fine art glass. Lily shades are suspended from stems delicately winding above a Lily pads fixture finished by hand in Mahogany Bronze.